Central Cross Country Skiing (CXC) is a Paralympic Sports Club that works to make cross-country skiing accessible to individuals with physical disabilities and visual impairments. 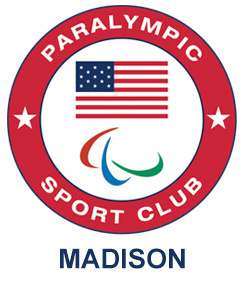 Paralympic Sport Clubs are community-based programs developed to involve youth and adults with Paralympic-eligible impairments in sports and physical activity, regardless of skill level. Working in cooperation with universities, physicians, and VA Hospitals, the CXC identifies and introduces individuals to Nordic skiing; provides training and the necessary equipment to pursue the sport. The programming is designed for youth, juniors and adults at recreational, competitive and Paralympic levels for both Nordic Skiing and Biathlon. Badgers Adapt clinics is an opportunity for the CXC adaptive staff to introduce skiing to children with disabilities. The clinics introduce a variety of equipment types for children who are typically new to skiing. Less technical work and more play are the focus of these clinics. As a partnership program with the University of Wisconsin, Madison the Adapt Clinics offer students involved in the study of adaptive fitness and kinesiology a hands on experience with potential adaptive athletes and the equipment required for beginner to elite level adaptive athletes along with CXC programming. The ‘Nordic Rocks!’ for Schools Program introduces children from kindergarten to sixth grade to cross-country skiing and creates an opportunity to teach skiing during the school day. Participating elementary schools are supplied with skis, adaptet sit-ski equipment, a teaching manual and other resources to create a physical education class where children learn about the sport of skiing. CXC has had two successful years hosting monthly clinics at the regional VA hospitals. 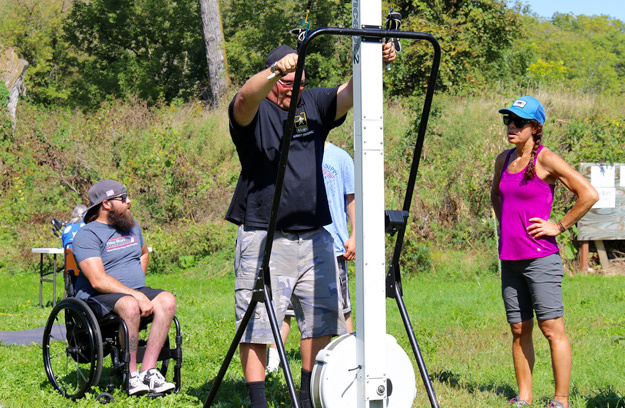 Veterans with injuries and disabilities learn best practice technique and take home exercises to provide an outlet for continuing health and fitness. Just like any other athletic pipeline, individuals are then encouraged to attend adaptive camps during the summer or schedule personalized one-on-one sessions with coach to continue their skiing. Along with camps and clinics CXC has provided support and equipment to Veteran-specific events around the country, from locally organized events such as the Dryhootch of America, regionally hosted events such as the Valor Games Midwest, as well as nationally held events such as the National Veterans Wheelchair Games. In the next year CXC will be restructuring the Veterans program to better-fit funding changes, but will continue to keep partnerships open and alive to service interested participants. All of the Veterans services would not have been possible without outside support. Travel, coaching, and support to participants becomes a reality thanks to the Federal VA Grant. 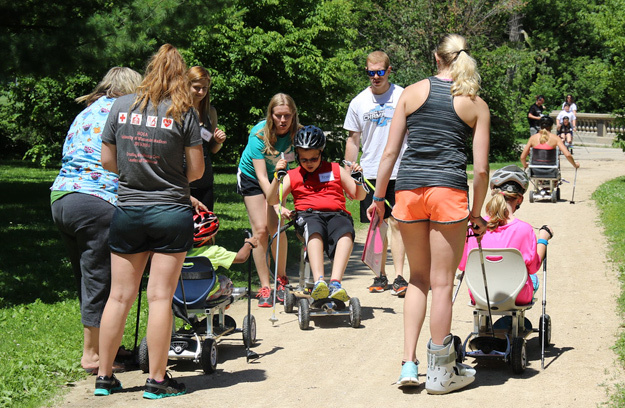 The CXC Adaptive Program is a great “next-step” from camps and clinic settings, such as the Badgers Adapt clinics at the University of Wisconsin, Madison. 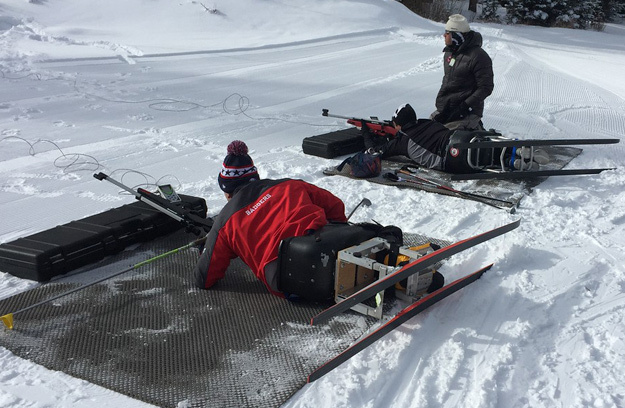 Camp and clinic attendees are encouraged to continue ski training with the CXC Adaptive Program and participate at adaptive camps set up during the summer and into the fall. The CXC Adaptive Program offers a strength training program based around the athletes’ ability. Sit skiers enjoy trail rides and technique sessions to enhance the economy of their polling. Visually impaired skiers practice on an indoor treadmill to perfect their ski technique, using a rollerski treadmill. This environment is controlled to reduce the risk of injury and provide the athlete with a sense of safety. Camps are typically over the course of a weekend and provide athletes with “take-home” practice points. Athletes are provided with additional informational resources covering topics such as nutrition, best practices for training, recovery, and overall health to keep them in top shape for the upcoming season. Without CXC exposing me to so many cool opportunities, such as skiing in West Yellowstone my first year in the sport, I would definitely not have known what sports could offer me as a visually impaired athlete. Fundraising is an integral piece in our ability to provide services and programs to the ski community. Weather we are supporting veterans, adaptive athletes, youth, junior or elite skiers, - we depend on memberships and support through fundraising events. In addition to fundraising, we owe much of our capability in providing camps, race support, transportation, educational services and athlete programming to corporate sponsors. At CXC we are constantly trying to innovate the sport with novel training ideas, equipment, gear and supplies. Donations are greatly appreciated and go towards our efforts to provide the best quality of services available today. If you have a question, concern or opinion you would like to share, please let us know.